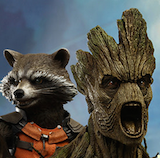 Angry Koala Gear: Jeff Smith Covers ROCKET RACCOON #1 for SDCC Exclusive Variant! 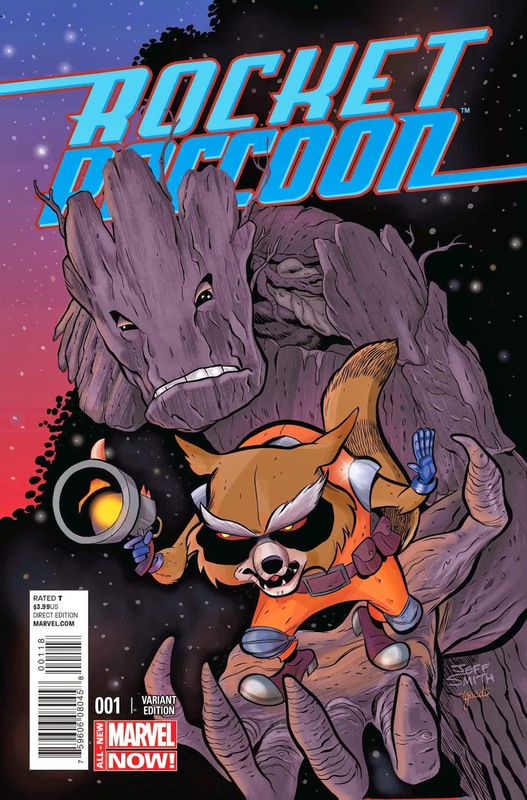 Jeff Smith Covers ROCKET RACCOON #1 for SDCC Exclusive Variant! Skottie Young’s brand new Rocket Raccoon series is taking the comic book industry by storm, garnering rave reviews from critics and fans alike! Today, Marvel is proud to unveil that legendary cartoonist Jeff Smith (Bone, RASL) will lend his pen to a jaw-dropping variant cover to the sold-out first issue available exclusively at this year’s San Diego Comic-Con International! "How cool is it to see Jeff Smith — the creator of the seminal Bone — render Marvel's SDCC exclusive variant cover, featuring this year's breakout comic character? Pretty cool," says Marvel Editor-in-Chief Axel Alonso. As if you didn’t need another reason to head to the comic event of the year, this stunning cover will only be available for purchase at the Marvel Booth at Comic-Con International: San Diego. Jeff Smith’s Rocket Raccoon #1 variant joins an array of soon to be announced merchandise that will be available exclusively on site at The Marvel Shop in Marvel’s San Diego Comic Con International booth (Booth #2329). Limited to 5000 pieces and priced at $10.00, don’t miss out on your chance to snag this epic variant cover as comics legend Jeff Smith brings his unique style and charm to two of your favorite Guardians of the Galaxy exclusively at this year’s Marvel Shop for San Diego Comic Con International!